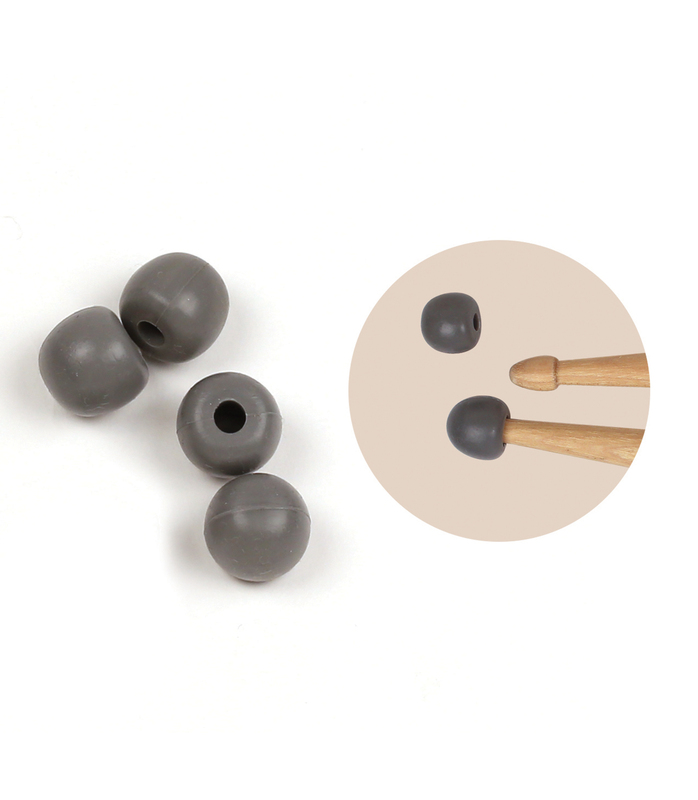 Rubber tips that fit over virtually all drum set and concert sticks. Great for practice and creating interesting timbres on drums and cymbals. (2 pair). “Since the introduction of our “Chop-Out” rubber-tipped marching and drum set practice sticks, we have had countless requests for the rubber tips themselves – tips that could be applied to any stick a player already owns,” states Neil Larrivee, Vic Firth Director of Education & New Product Development. “With the new Vic Firth Universal Practice Tips, a player can now convert virtually any drum set or concert stick model into a quiet practice stick within a matter of seconds.” Vic Firth Universal Practice Tips feature a special molded rubber design that both creates a secure grip on the existing tip and allows for easy and repeated application and removal. The hardness of the rubber tip produces an authentic feel and also creates interesting timbres when played on drums and cymbals. Each package contains 2 pairs of rubber tips, providing the player with a pair and a spare! Upt from Vicfirth is 100% original and brand new. We, at Melody House take pride in our after sales service and support. For further details on the upt, Vicfirth, simply write to us to consult an expert or order online and we will take care of the rest. Happy Shopping!